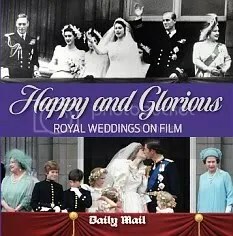 There was a DVD recently with the Mail Newspaper entitled “Happy & Glorious – Royal Weddings on Film” to commemorate the upcoming wedding of HRH Prince William & Catherine Middleton on the 29th April at Westminster Abbey. It is the Christian feast or holy day falling on the Thursday before Easter that commemorates the Last Supper of Jesus Christ with the Apostles as described in the Canonical gospels. It is the fifth day of Holy Week, and is preceded by Holy Wednesday. The Maundy Thursday celebrations in the United Kingdom today involve the Monarch (Her Majesty Queen Elizabeth II) offering “alms”, to deserving senior citizens (one man and one woman for each year of the sovereign’s age). These coins are known as Maundy money or Royal Maundy and are distributed in red and white purses. This custom dates back to King Edward I. The red purse contains regular currency and is given in place of food and clothing. The white purse contains currency in the amount of one penny for each year of the Sovereign’s age. In addition to being Maudy Thursday, Her Majesty Queen Elizabeth II also celebrates her birthday on April 21st, However the official celebrations for the Queens Birthday won’t take place until June 11th in order to take advantage of the better weather (Although the weather here is gorgeous at the moment), and to celebrate the event, the annual “Trooping of the Colour” is held annually, which is always spectacularly magnificent.